Our family had a very busy holiday this year and I didn’t do a very good job of posting on this blog. I vow to make a better effort in 2013 and hope to grow the blog a bit. I have many posts in the works for 2013 and much to share. I will begin with a few of the craft projects I made for Christmas this year and even though it’s too late for 2012 maybe you can pin them on Pinterest for Christmas 2013. 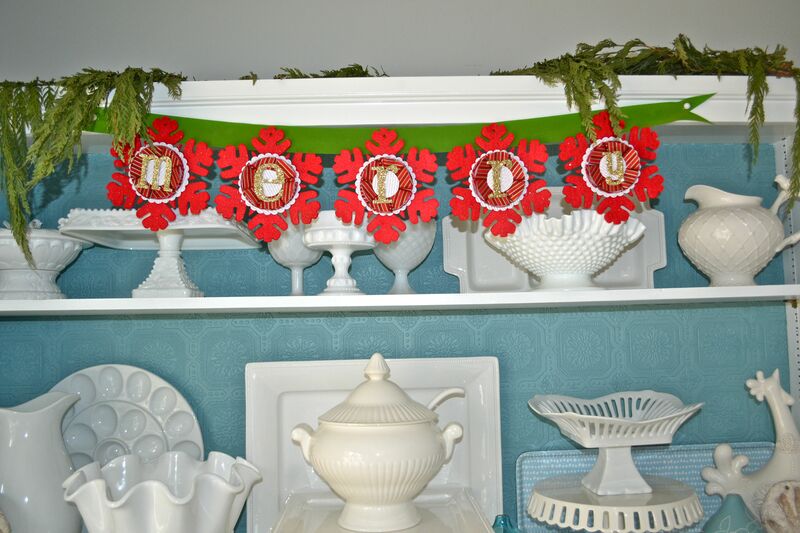 The first craft project I tackled was to make a Christmas banner and some ornaments. I bought some red felt snowflake ornaments for a $1 each at Target as the base of the ornament/banner. I then made fabric flowers, something I have done a hundred times for Callie’s headbands and clips. I use this tutorial from House of Smiths. I used a large scalloped circle punch to cut corrugated, white glitter scrapbook paper. I hot glued the fabric flowers to the paper, glued the paper to the snowflake and finished them off with scrapbook glitter letters to spell (merry) for the banner or an initial for an ornament. I made a bunch of the ornaments for friends and family. They looked adorable tied onto gifts for a personal touch. 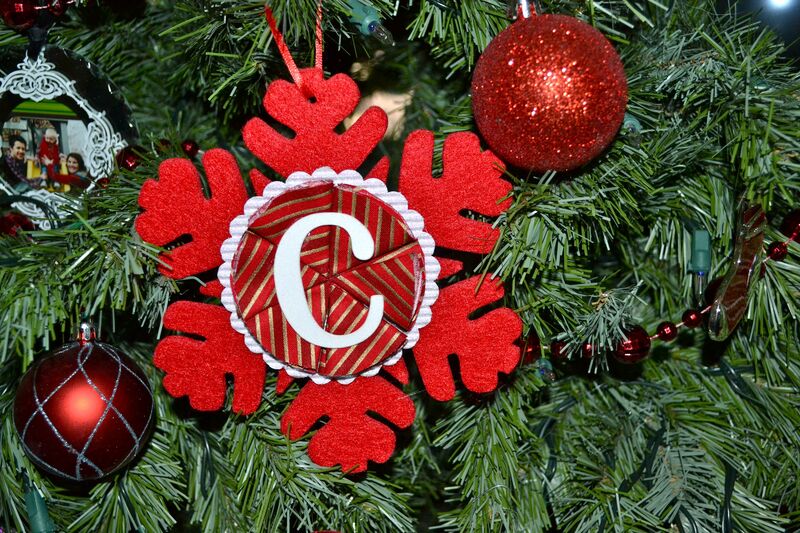 I chose the “c” for our tree to represent Callie. The banner is glued on thick green ribbon so it wouldn’t twist and turn. My next project is one of my favorites of the year. I really wanted to make a yarn wreath and I bought all the supplies to make one yet never found the time. Not to mention our house has double doors at the entry so I would have to make two wreaths and that seemed too daunting. So as an alternative I made yarn letters. I made a few for friends as gifts, some small, some larger and one for our entryway. I viewed a tutorial ahead of time just to get a feel for it but I ended up using letters that were a little less 3D, as I wanted them to hang rather than sit on a shelf. I purchased the letters at Hobby Lobby for about $4 bucks. I wrapped them in natural colored yarn and topped them off with some glitter berries (vase filler from Hobby Lobby) and some faux greenery. 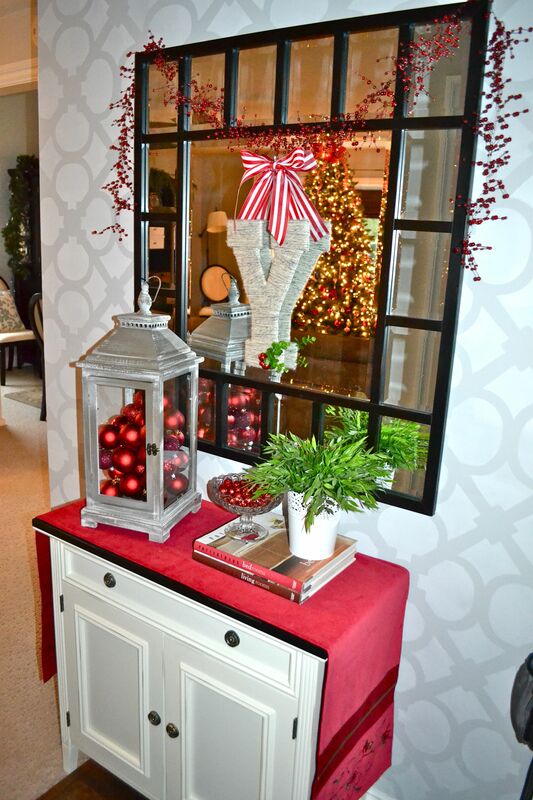 I also attached some red and white ribbon to the top so I had a way to hang them. 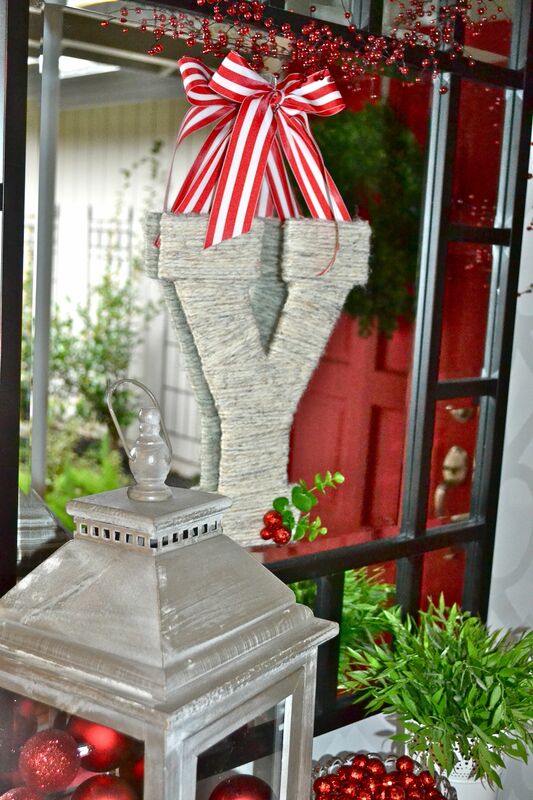 The smaller yarn letters I made for friends would look adorable adorning a stocking. In October, I decided to get a jump on making an advent calendar for the kids. I saw this tutorial on I Heart Organizing last year and loved it. Mason was old enough this year to really get into it which made it SO much fun! My mom used to buy my brother and I chocolate advent calendars every year when we were kids and it’s such a fond memory. I knew I wanted to create a calendar where I could put treats inside for each day in addition to an activity. When I found this tutorial on Pinterest I was thrilled. Even though the website has a free printable for the days of the week I wanted to make my own. I created the numbers in PowerPoint as well as the activities. 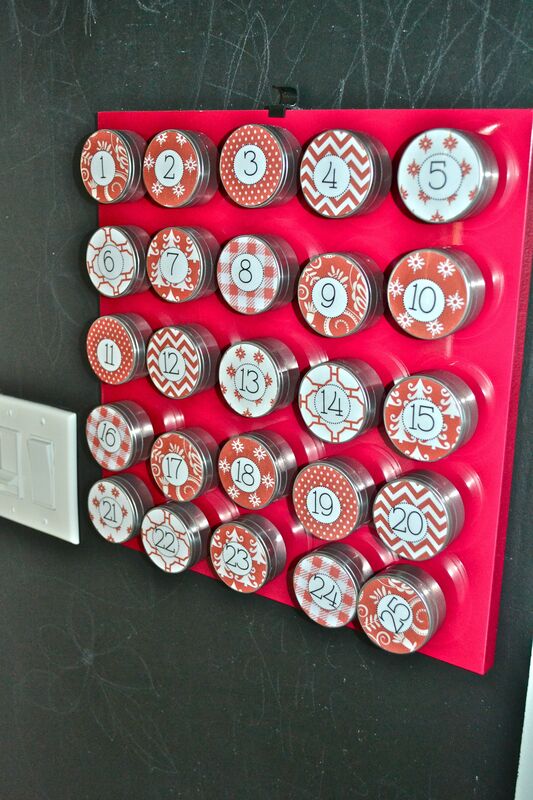 I borrowed activity ideas from several websites with advent calendar tutorials. I purchased the tin containers from Joann’s. I tried to Modge Podge my numbers to the inside back of the tins as described in the tutorial but the glue smudged the ink on the paper so I had to find another solution. 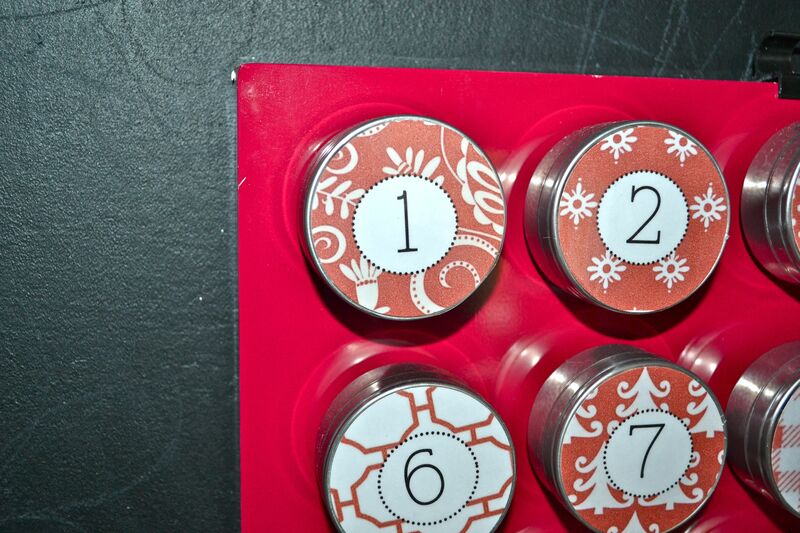 I ended up laminating the numbers and gluing them to the outside fronts of the tins. I then hot glued the activities to the inside bottom of each tin. The beauty of doing it this way is that I can switch an activity with a day on the fly (which I had to do a few times this year). 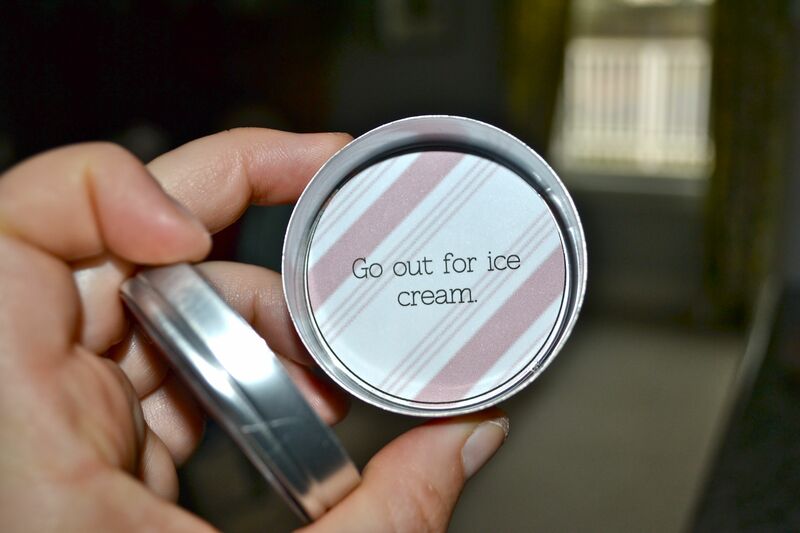 I glued craft magnetics from Hobby Lobby to the back of each tin. I lucked out and found a 12×12 red, magnetic board at Target for roughly $8 to display the tins. I did not end up putting candy in the tins this year as my mom bought the kids chocolate advent calendars and I didn’t want them to overdue it on the sweets.